Specialist Machining Processes: Alternative, Advanced Machining Options Expert Manufacturing Advice tailored for step-by-step implementation in the workplace. Small Manufacturers, Machine Shops and CAD Engineers improve and thrive with our hands-on help. Specialist Machining Processes There are a range of alternative, advanced machining processes out there, offering advantages over conventional machining options See what's best for your application? See what's best for your application? Small manufacturing businesses sometimes find conventional machining processes, like CNC milling and turning, are not best suited to what they require. Special applications sometimes call for specialist machining processes. Complex geometry, intricate features, hard, tough or brittle materials - all these unconventional requirements are typical reasons to consider the range of specialist machining processes that exist. Wire eroding, spark eroding, waterjet cutting, laser cutting, ultrasonic machining, electrochemical machining, broaching and many more - a whole host of specialist processes are out there. Components can be manufactured to the desired specification with confidence by selecting the most appropriate specialist process. Central to this is the need for design engineers and technicians to raise their awareness of the variety of machining processes available to them. Following this it is then possible to research, negotiate and successfully outsource to specialist engineering businesses. For some small manufacturers, investing in specialist equipment may be an option if the mix of work warrants it and if they can justify the return on investment. A clear, succinct range of specialist and advanced machining processes with explanations and diagrams. Examples include Chemical, Electrochemical and Electrical Discharge Machining. Also featured are Laser and Electron Beam Machining, together with Plasma Arc Cutting and Wire EDM. Other techniques include Ultrasonic, Water Jet and Abrasive Jet Machining. The advantages over conventional machining are covered, as are the economics of advanced machining processes. Unconventional Machining Processes: A range of specialist machining processes explained with technical descriptions and background information. Examples of components and work pieces illustrate the component geometry typically produced with some of the different processes. How Wire EDM Works: Introduction to Wire EDM and high-speed small hole EDM processes. Short, interesting video on the fundamentals of the electrical discharge machining process. Parts and diagrams are featured with a clear explanation of the technology. Electrical Discharge Machining EDM: A clear explanation of how the technology works, with emphasis on the spark eroding process. The use of die electric fluid in the process is explained. Examples of the sort of detailed features and components that can be produced are illustrated. Waterjet Cutting (Courtesy of Flow Waterjet): An informative short video illustrating the very impressive cutting capabilities of this remarkable technology. 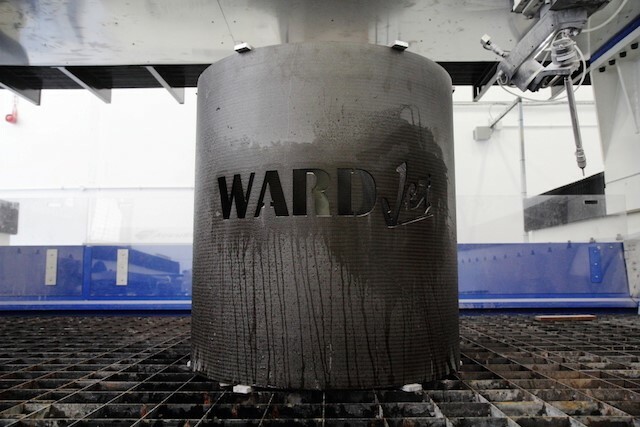 By mounting the Waterjet nozzle on a 5 Axis capable head, detailed geometry and intricate features can be effortless cut out of a range of very tough materials, including stainless steel plate and granite slabs. Other materials are featured together with further information about material thicknesses. Laser Cutting (Courtesy of Kern Laser Systems): The video demonstrates the precision of laser cutting, on this occasion on a steel tube. Small apertures are quickly and effortlessly cut out by laser before the tube is 'parted off' by the machine. This highly automated process is very accurate. Ultrasonic Machining (Courtesy of Beijing Ultrasonic). This fascinating process works with the vibrating tool oscillating at ultrasonic frequencies. This results in material being removed from the workpiece. An Abrasive slurry flows between the two to facilitate the process. It can be used to machine very hard brittle materials such as glass, as well as a range of metals. Ultrasonic machining produces very little heat and leaves an excellent surface finish, as well as very good material structural integrity. Electrochemical Machining - ECM (Courtesy of EMC Technologies). This process uses a electrical charge to pass through a chemical solution (an electrolyte) to remove material. Metals need to be conductive for EMC. Advantages include the machining of very hard metals, with intricate geometry and high quality surfaces. Broaching: This simple diagram illustrating the broaching process, where a hardened toothed tool removes material from a work piece. Broaching is used when precision machining is required, often for awkward shapes such as keyways and non-circular holes. A broaching machine cuts in a linear fashion (like the example) and is more common, whilst a rotary broach is used on a lathe or screw machine. A host of different techniques are available to cut profiles in different materials.